If you have been following along, you know I have been trying my hand at the One Sheet Wonder technique/method. I am attempting to use up my Stargazer paper packet - so far i have made 3 cards using this technique, and I. STILL. HAVE. MORE. PAPER. Frugal city right there. As promised, I have one more set. 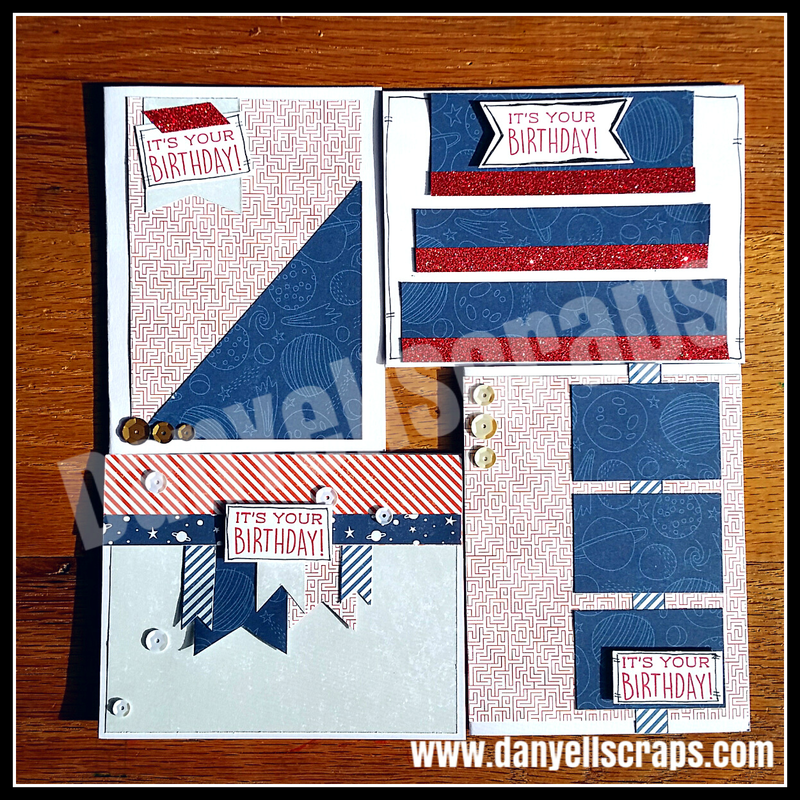 This set uses the last sets template, with some tweaking. And, I love this set! The main pacifica blue sheet is supposed to be my focal sheet, and the stripped red sheet is my accent sheet. So maybe this is a 1 1/2 sheet wonder!?!?! Really I just cut the red at 5.25 and 4 to create backgrounds. Same Stamp sentiment 'it's your birthday used here in this set. My Favorite of this group is , the top right card. It reminds me of curtains pulling open for a play! The last set uses more sentiments for the March Stamp of the month. My Favorite is the '1 Year Older' Stamp. 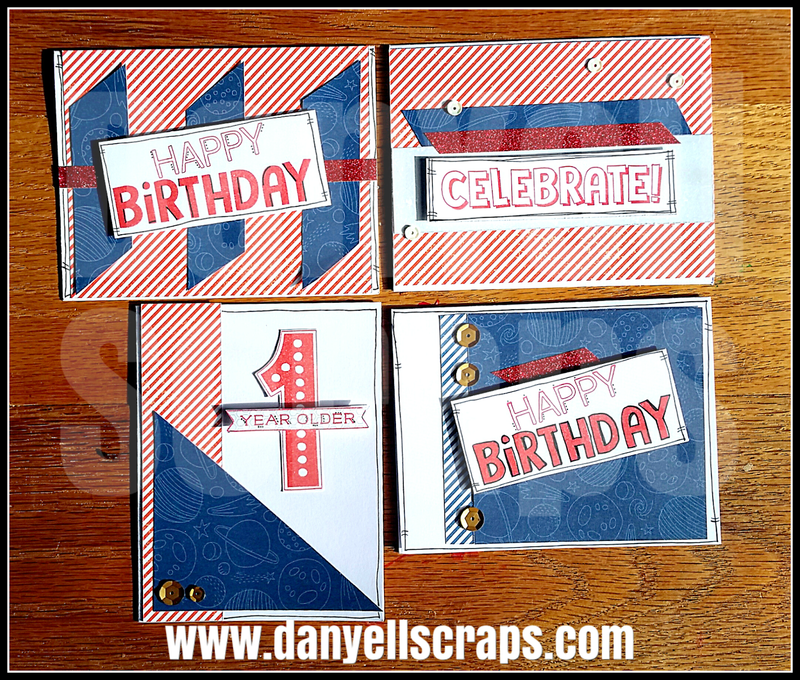 I stamped the 'year older' on a Zip Strip and fussy cut it out. I then adhered it on top of the main '1 year older' image to give it some dimension. 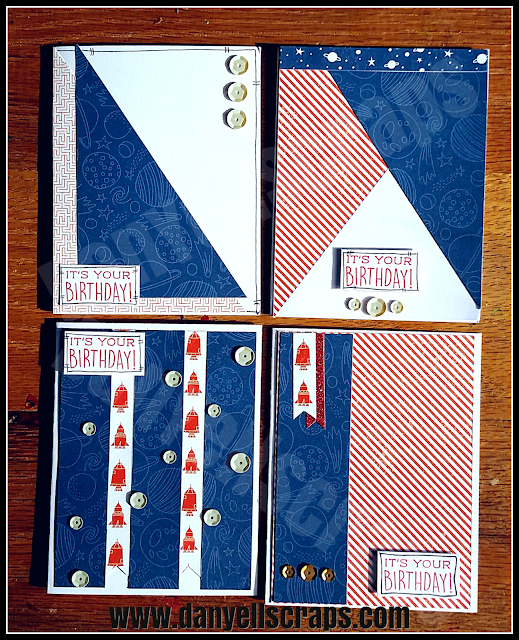 Add some shimmer trim, and sequins and you have a set of cards!!!! I'd love to know your thoughts on one sheet wonder cards! Thank you for stopping by! I hope i have given you some inspiration. If you are interested in the March Stamp of the month, and need a consultant, I'd love to work with you.